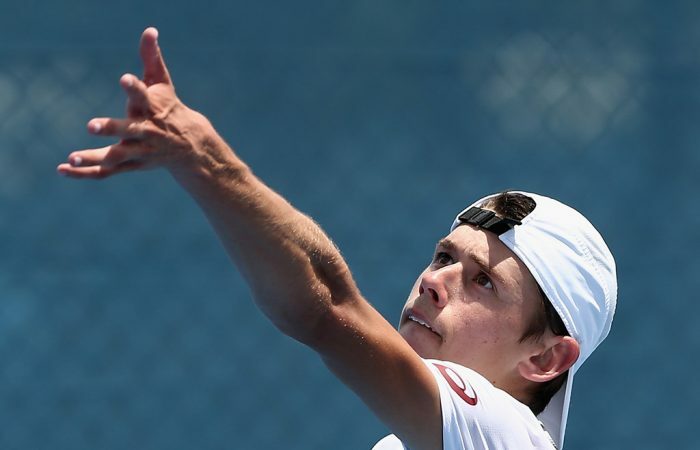 Australian teens Alex De Minaur and Destanee Aiava have impressed in the qualifying rounds to secure berths in the main draw of the Brisbane International. 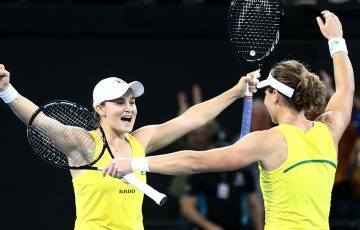 Two Australian teens have stunned more credentialled opposition to take their places in the main draw at the Brisbane International. 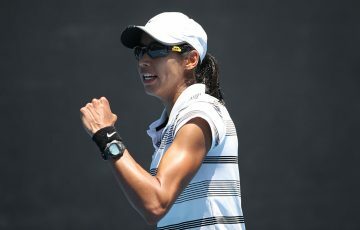 Melbourne 16-year-old Destanee Aiava continuing a purple patch of form, taking little time to dispatch German world No.86 Carina Witthoeft 6-1 6-1 in her final qualifying match in 35-degree heat at the Queensland Tennis Centre on Sunday. 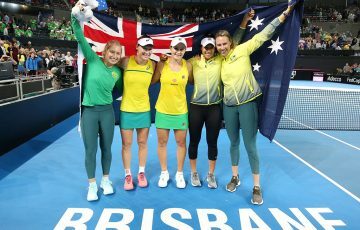 Later the same day, Spain-based Alex De Minaur ensured four Australian men will play in the main draw of the Brisbane International following an energy-sapping qualifying triumph. 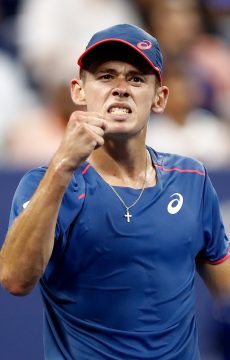 De Minaur, who grew up in Sydney before moving overseas with his family, fought back on Sunday to overcome American Frances Tiafoe 6-7(4) 6-4 6-4 in two hours and 19 minutes in the sweltering conditions. The 17-year-old joins Bernard Tomic, Sam Groth and Jordan Thompson in the main draw. 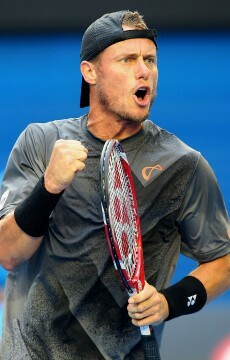 De Minaur was cheered on by Davis Cup captain Lleyton Hewitt out on court six; Hewitt has worked hard with the 17-year-old over the past two months and was highly impressed. “I’m just rapt for Alex,” he said. “What a way to start the new year. Aiava’s win over Witthoeft followed a 6-0 6-4 victory over Samantha Crawford – who reached the semis in Brisbane last year – in her first-round match, and a 6-2 6-0 defeat of Maria Jose Martinez Sanchez in round two. 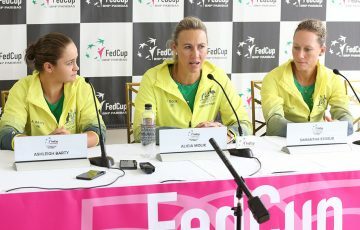 Her maiden WTA main draw appearance, alongside Sam Stosur and Ash Barty, comes after winning a wildcard into this month’s Australian Open by taking out the Australian 18/u Championships last month. Aiava will face fellow qualifier Bethanie Mattek-Sands in her opening round match.